The Washington Nationals roster could be complete, but it seems like the roster is missing a couple of pieces. No, this is not referring to Bryce Harper, rather this is referring to back of the roster pieces. Last year, Jeremy Hellickson was acquired near the end of Spring Training on March 18th, and one of our sources has told us that Rizzo wants another low-cost deal for a starter to compete for the 5th starter spot and that acquisition could happen at any time. Is there a reunion for Hellickson and the Nats? With pitchers like Francisco Liriano getting a minor league deal, will that be a sign for the starting pitchers projected below him like Hellickson to also settle for a low-cost deal? The Nationals top four spots in the starting rotation are set with Max Scherzer, Patrick Corbin, Stephen Strasburg, and Anibal Sanchez. The fifth spot in the rotation appears to be open at the moment. There is of course Joe Ross, Erick Fedde and others competing during Spring Training for a spot on this team. Last year, Hellickson signed a minor league deal with opt-outs and a $2 million salary if he made the team that included a $4 million incentives package. The former 2011 Rookie of the Year and Gold Glover fell out of favor and bounced around for years as he became less effective and looked nothing like he did in 2011. The Nationals seemed to get Hellickson on track by controlling how many times he would pitch through the opposing team’s batting order which was generally two times. Hellickson was limited to 4.81 innings per start with a very good 3.45 ERA. Unfortunately he suffered two injuries during the season which limited him to only 19 starts. You can do the math and see that on average the bullpen had to cover slightly more than four innings in a Hellickson start, but the good news is he kept the Nats in all but one game during the season as he only gave up more than three runs in a game once. In fourteen of his nineteen starts he gave up two runs or less. The starting lineup for the Nationals is all but set unless Michael Taylor impresses in Spring Training and wins the centerfield job. 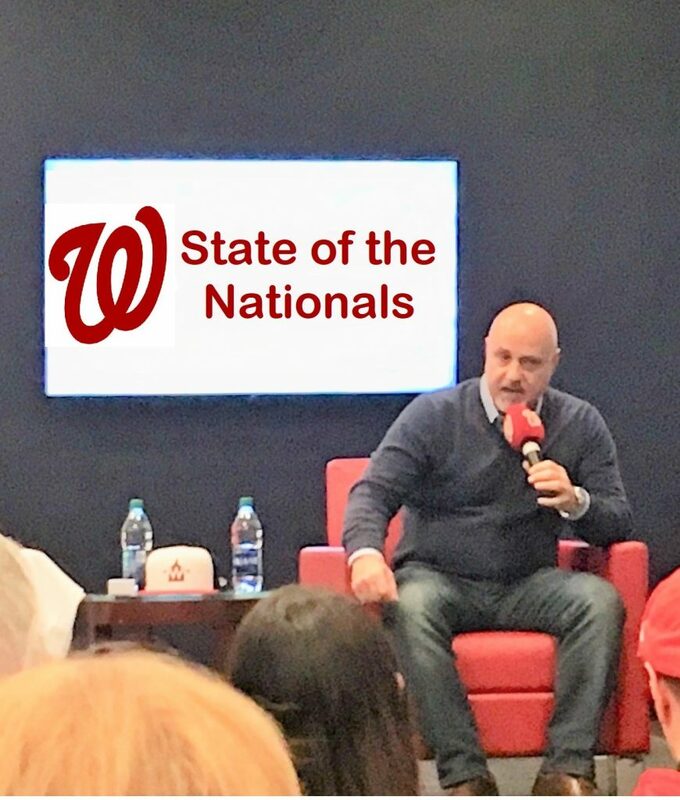 Yes, Bryce Harper still remains a possibility for a spot if he signs with the Nationals, and it really does not matter as Mike Rizzo has put together a 90+ win team according to Fangraphs. The bench also looks set unless Taylor becomes the starter or was traded to free up some payroll. The Nationals also have up until March 15th to decide on retaining Taylor as they could always DFA him and only be responsible for 1/6th of his $3.25 million contract. Taylor’s contract was decided in favor of the Nationals in an arbitration hearing. The bullpen is another area that could go through a change or two, and we covered that on Monday with a look into the players competing for the ‘pen. There is the saying in Spring Training that the “best 25 men” go north. In reality, that is not what usually happens as player status often determines roster spots. With 8 days to go for Spring Training camp to open and 18 days for the first game in West Palm Beach and 50 days until Opening Day, Mike Rizzo and manager Dave Martinez have a little bit of time to figure it all through. This entry was posted in MikeRizzo, Roster, SpringTraining. Bookmark the permalink.